Image produced by Hal Pierce and caption by Steve Lang and Holli Riebeek. 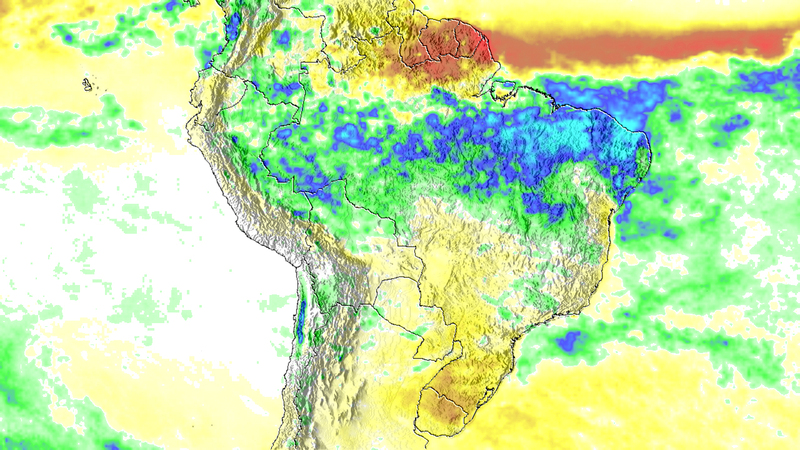 The contrast of current rainfall with average rainfall in this anomaly image reveals just how intense flood-inducing rains were in northern Brazil in April and May 2009. Clandenning, A. (2009, May 13). 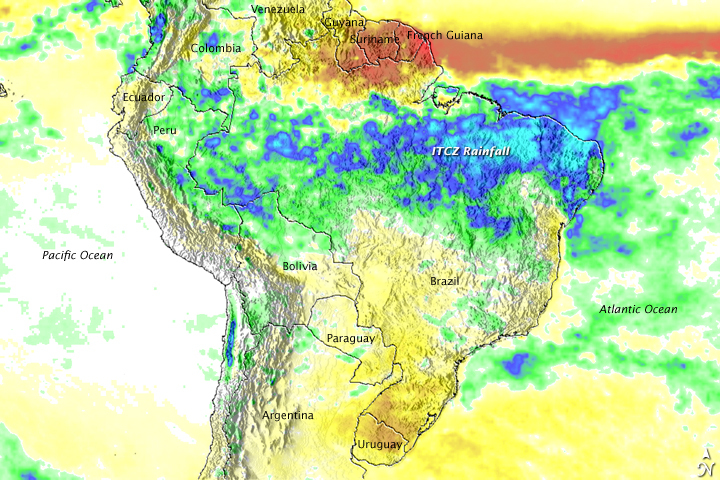 Brazil floods ease, but 267K still homeless. Associated Press. Accessed May 15, 2009.